What if instead of notching and firing off arrows without a care at an enemy, you instead rolled your paintbrush along a blank canvas while starting at a lunar eclipse as you overlook the ocean? This is the game concept presented by Eastshade, a game that takes a unique look at the open world RPG by replacing traditional hack-and-slash combat with painting as your character’s defining trait. 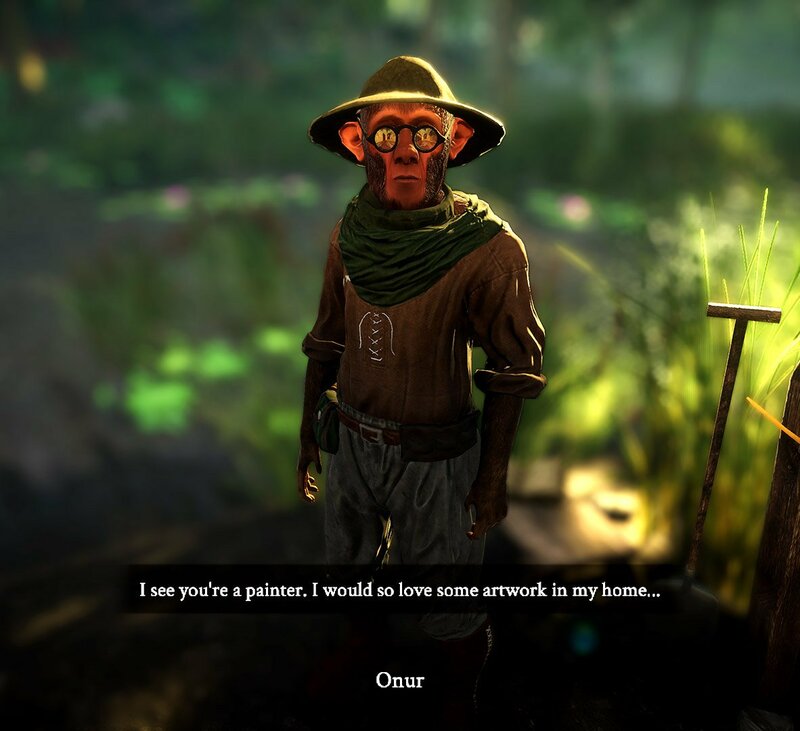 You play a person who lands in Eastshade after wrecking your ship, and you quickly begin to explore the world around you while talking with the local inhabitants, completing quests, crafting…and, of course, painting. In an asthetic that invokes a similar feeling to both The Chinese Room’s Dear Esther and Mimicry’s Leaving, Eastshade is a game that is designed to be a complex, slow, walking simulator that invites the player to drink in the game’s open world and appreciate the living environment that flows around them. In other words, this is a game that you are meant to relax in and not stress too much about playing, since there are no survival mechanics and there is no combat. The first city you encounter is Lyndow, a small town on the coast. (Image owned by Eastshade Studios). 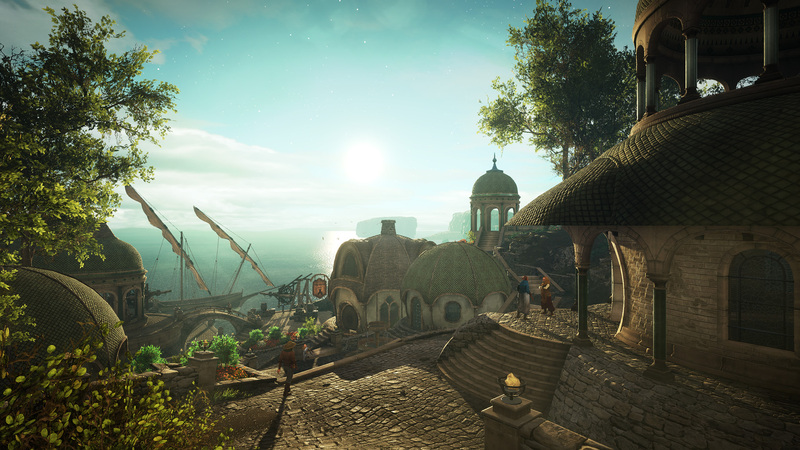 During my time with Eastshade at GDC 2018, I was able to play from the beginning of the game up until I reach Nava, the largest city in the land of Eastshade. And I was pleased with what I found. The game controls were fairly smooth, and crafting was pretty simple when I was able to try it out. 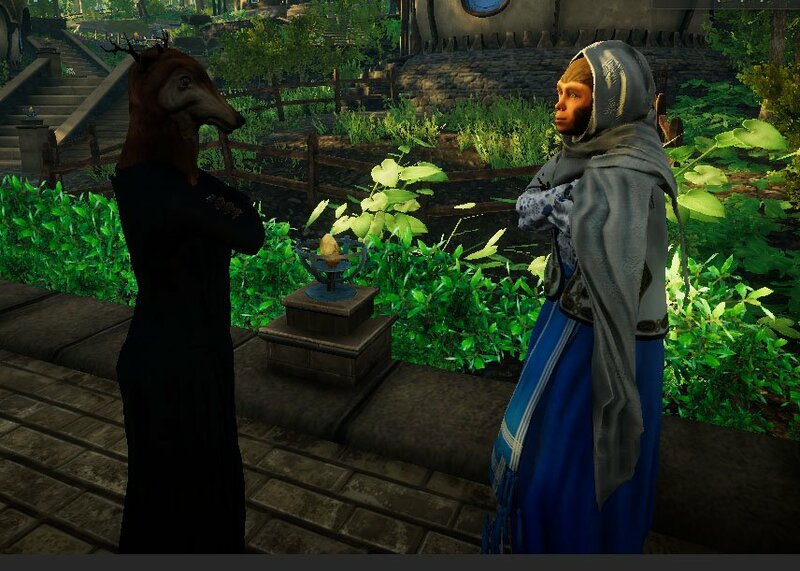 The conversations with NPCs (aside from the mildly odd animal heads on human-esque bodies) were pleasant to interact with and the dialogue was fairly intriguing. 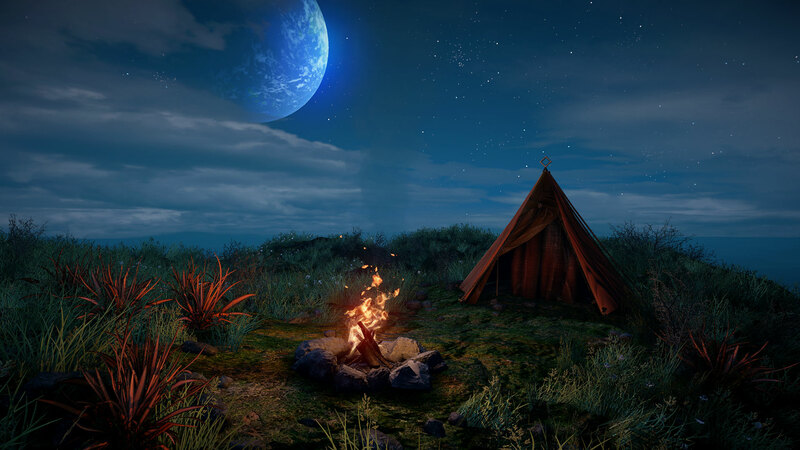 There are artificial progression barriers set at various points in Eastshade‘s gameplay, so the entire game isn’t available to you from the get-go and you are forced (to a degree) to play through the closest thing to a main storyline there is (the developer explained that Eastshade is a world of side-quests to do or not do at your leisure). For example, in order to leave my starter city of Lyndow and reach Nava, I had to complete a quest (that the developer was kind enough to speed me through) by completing a bridge across a river. The largest city in Eastshade, Nava, while still under development, is clearly intended to be a large and bustling city in the style of non-indie games and was rather awe-inspiring in size and concept. You can tell that Eastshade Studios is really dreaming big in Eastshade, and they aren’t afraid to admit it. Unfortunately, I was only just able to explore a tiny bit of Nava before I had to end my time with the demo. 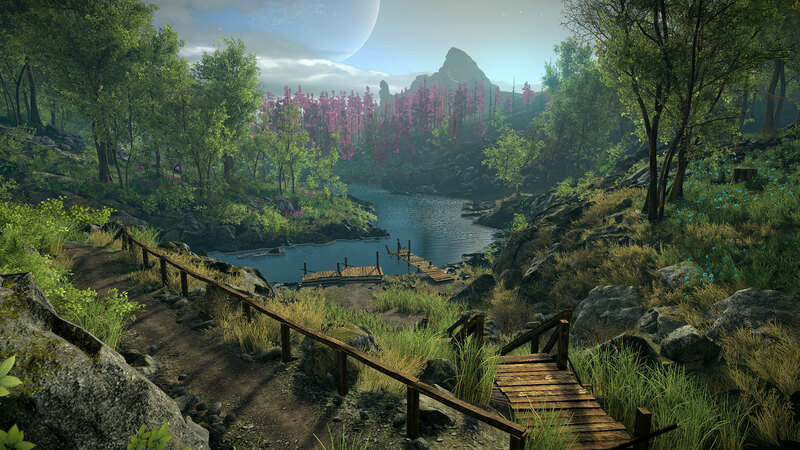 Eastshade is a gorgeous, living world that you get to paint your way through. (Images owned by Eastshade Studios). Of course, the core mechanic of Eastshade is having your character paint the surrounding world. In what is a surprising bit (and admittedly a slightly disappointing bit) of gameplay experience, you don’t actually paint anything yourself. Instead, you face a direction, figure out how you want to frame the painting (size of the horizon to capture, etc) similar to how you size a desktop computer drag-and-click window, and press a button…and the image appears on the canvas. While I was hoping that at the very least you would have to generically swipe across the canvas a few times to create your masterpiece, I wasn’t altogether disappointed with the end result as they are like screenshots of the gameplay world around you. The paintings themselves play a role in the gameplay, as what you paint can often be a quest goal or can influence what another NPC says to you, and I found this to be a really unique gameplay mechanic that I haven’t seen in a video game before. The denizens of this game have human-esque bodies and the heads of animals. (Images owned by Eastshade Studios). Overall, I thuroughly enjoyed my time with Eastshade, and I am looking forward to exploring the world in full when it releases (at a date yet-not-determined) on Steam. What do you think of an open world where your only job is to paint? Are you excited about Eastshade?